Grandma and mom came over to visit me a couple of months ago! It was certainly nice to have them here and have popo's homecooked food. It was then my time to treat them to some local food, and that day, popo craved for some noodle soup. I took them to Cafe O-Mai for lunch and ordered pho for popo. 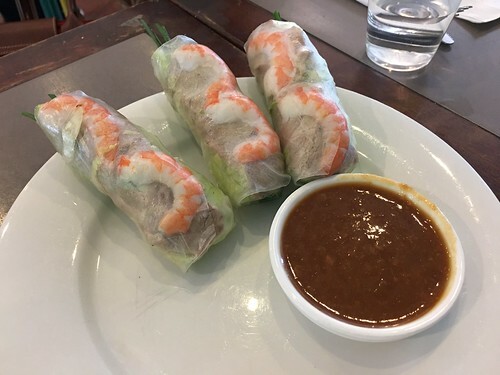 Firstly, we tried their fresh pork and prawn spring rolls, followed by some crispy roast pork. 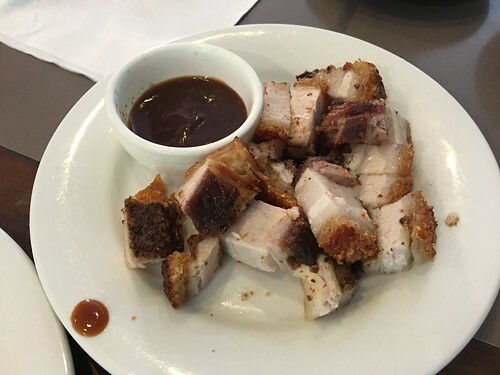 I have tried their roast pork banh mi in the past, and their roasted pork was just so moreish that should not be missed. Therefore, I ordered some for us to try. Yum! 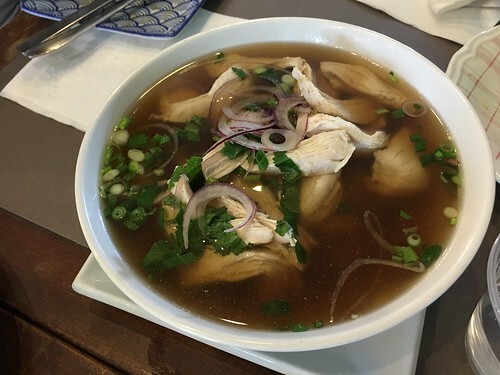 The chicken pho was served in a rather large serving and luckily we ordered two main meals to share between three of us. Popo seemed to enjoy the chicken pho with its generous servings of shredded chicken breast. 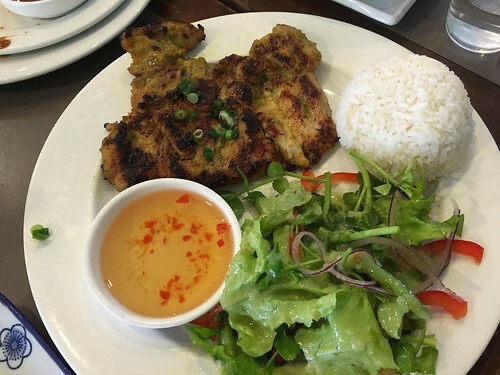 On the other hand, I ordered the 'com ga nuong' aka chargrilled lemongrass chicken served with fresh salad and rice. The grilled chicken was extremely tender and flavourful! Cafe O-Mai has been one of my regular place to go and this is the first time I tried their lunch service. Service was efficient despite busy.